Legal Video Support: meet all of your legal video needs; deposition video, trial presentation; daily living documentaries, special or criminal investigation unit video documentation. NY, NJ, NYC. Certified Legal Video Services, LLC, is located in Fair Lawn, NJ in Bergen County, servicing the NYC Metropolitan Area, NJ, Southern CT, New York State to Albany County and Philadelphia. Available nation-wide and available for all international assignments. We are available for all aspects of legal video production. We also provide trial presentation services. 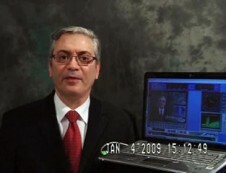 We offer affordable high-end legal deposition and forensic evidence documentary video production. 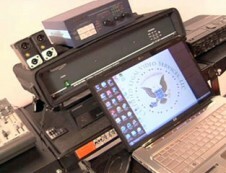 We have produced forensic videos on three continents. Specialties: Professional Digital Video and Audio Recording, Steadicam Operator, Final Cut Pro and Avid Media Composer Editor, Digital Video and Document Presentation Specialist, Transcript Synchronized Video, Video Transcoding and Duplication Services. Howard Brodsky is a trained and equipped Steadicam operator and a highly credentialed legal video specialist. Howard Keith Brodsky CLVS, CCVS, CTPP. VVV Productions: video production services in NYC, NY and NJ. NCRA Certified: Certified Legal Video Services, LLC. American Guild of Court Videographers. Copyright © 2019 · All Rights Reserved · CLVS LLC. · Website developed and maintained by Creative Developments website design and SEO / Internet Marketing. 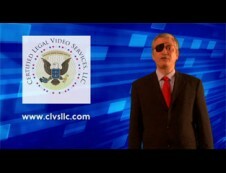 Certified Legal Video Services, CLVS LLC, is a video production company located in Fair Lawn, NJ, 07410. Our videographers service the entire metro New York City and New York, New Jersey, tri-state area and clients nation-wide. Call videographer Howard Brodsky at (201) 280-8614. E-Mail: clvstoday@gmail.com. · RSS Feed. · Log in.